This piece is specially designed for those with a deep love of history and tradition. 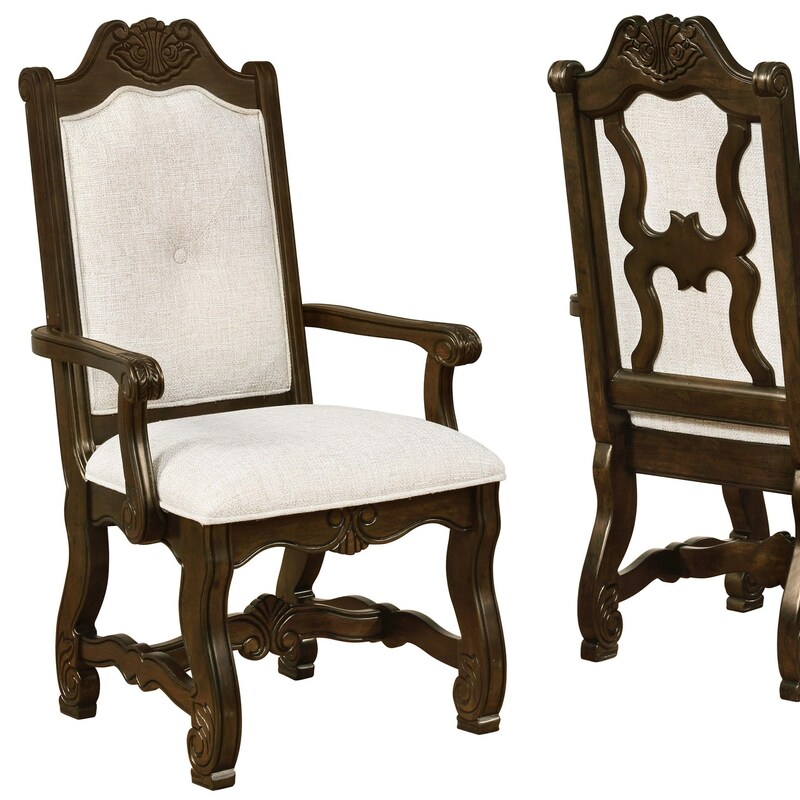 Your dining space can evoke the elegance of the past with a set of these opulent chairs. 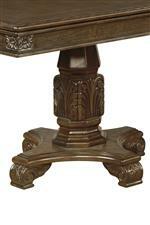 The chair features ornate carvings inspired by Old World European antiques. Deep brown wood finish creates a warm, timeless feel. The chair is upholstered in cream colored fabric. The fabric peeks through the wood tracery so its also visible from behind. The Pierre Traditional Carved Dining Arm Chair with Cream Upholstery by Crown Mark at Royal Furniture in the Memphis, Nashville, Jackson, Birmingham area. Product availability may vary. Contact us for the most current availability on this product. 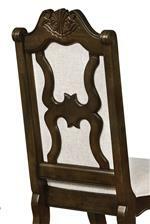 The Pierre collection is a great option if you are looking for Traditional furniture in the Memphis, Nashville, Jackson, Birmingham area. 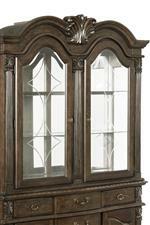 Browse other items in the Pierre collection from Royal Furniture in the Memphis, Nashville, Jackson, Birmingham area.